If you are reading this post, you are probably a small or medium business owner that is wondering why you need a website in the first place. Or, if you have an older, slower website that is not mobile friendly, you are wondering if you should have it redesigned. It differentiates you and your business from the guy that works out of his van and uses burner phones. It guarantees the quality of your work and helps you create a good reputation. Most of the people research products and services very thoroughly nowadays. In fact, the majority (76%) of the people that search on their smartphones for something nearby go to a business's physical location within a day. A website can provide your customers with information about your local business and services. With the help of reviews and social proof, it can also show them what other people think about your business and provide them with your contact information when they decide to buy. Well, the statement above is a little bit exaggerated. It is very important for a website owner to understand that you are not going to be swamped with business just because you have a website. Yes, it will help you get more leads in the long run, or even in the short run, if you invest in paid advertising, content creation and marketing. A lot of web designers promise more than they can deliver just to get your business. So, back to the original topic. A website works 24 hours a day. For example, if your customers searches for your services at 1 AM and finds your Chicago plumbing contractor website, they will probably look up your business hours and contact you first thing in the morning. If you offer emergency plumbing services, they can call you right away and hire you for a premium fee. Just like I am doing right now - I am answering one of your most important questions (and the biggest obstacle that has to be overcome before you hire a web designer) - do I really need a website? Improving customer service usually results in more business. Are you a Chicago photographer or do you run an Evanston medical clinic? A website can show your best work, be it real estate photography or the smiling face of the old lady you helped get better. Another strategy to pay for website fast is to add a small amount (for example 5%) to your services or products until the website is paid off. With the rapid switch to mobile devices, a lot of website owners have been left behind. That is the number one reason why local business owners need to have there website redesigned - to get a mobile responsive website. So what in the world is that supposed to mean? Simply put, it means that the elements that make up your website and website pages rearrange and scale themselves so they can be easily viewed both on a desktop computer and on a mobile device, such as a smartphone. Are There Businesses That Do Not Need A Website? Yes, there are. If you get most of your business from word-of-mouth referrals and repeat customers, you do not need a website. However, it is still a good practice to put together a small website with a homepage that introduces what you do, an about page that talks about how your business came to be and a contact page so people can easily find your business. You Need A Website, Why Not Do It Yourself? Wait? Are you saying that the Wix blog is not a Wix site, but a WordPress one? 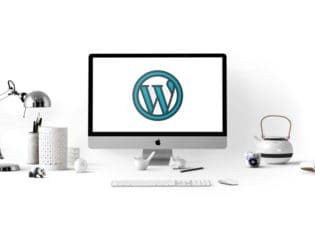 If you are technically inclined, you can still learn how to design your own WordPress website. However, it is going to take you a lot of time to learn (that you might not have when running a business) and the results will probably not be the same as those of a professional designer. But hey, I am a DIY type of guy myself and understand that there are other similar people that have to do it themselves. Good luck and let me know if I can help. No, you do not need a business license for a website. However, you need to identify yourself or your business on your contact page to let people know that your business is legitimate and not a scam. My best advice is to call a few web designers and get their opinions (make note of hard to believe promises). The rest is up to you - good decision making is one of the critical skills when running a business.